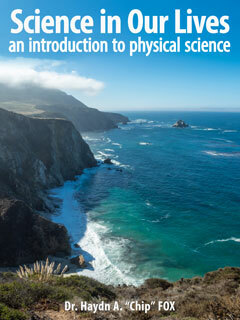 "ICB brings doing science into the lecture classroom, in a big way." “As a minority student in STEM, reading about the issues that affect people of color in the context of biology is inviting and comforting. In my experience, the manner in which biological sciences are taught tends to be whitewashed, and as a result students of color flock towards disciplines like public health and anthropology to fill that sociocultural void. While it isn’t reasonable for all STEM courses to extensively address the social impacts of systemic racism, learning about topics like race-based medicine and the genetic basis of skin color are particularly relevant and important, especially for the future doctors and healthcare professionals that make up a majority of Biology majors at Davidson." “After only one semester, I saw a noticeable difference in students’ engagement and enjoyment of the material with ICB. Topics like the citric acid cycle- usually one of my least interesting and most difficult lectures- really ‘clicked’ with the students." “Everyone who plans on taking the ACT should take [ICB Biology] since it gives them practice thinking analytically, which is… what the ACT is all about." "My students are really enjoying the approach and I truly believe this is the way we should be teaching introductory biology." "Their new book represents a very ambitious attempt to rethink how biology is taught, and I commend the authors for their courage and originality." "ICB represents the core of an approach that is likely to excite and engage students more than does a more traditional course." "…innovative introductory biology sequence with integration of concepts in a new approach that may be just what [Vision & Change] authors had in mind." "[Students] are making great innovative connections between concepts and have begun to talk more like scientists..."
"...I love it because we spend class time going over data and working through problems together instead of just listening passively." — Drs. James Wagner, Ph.D. & Belinda Sly, Ph.D., Biology Dept., Transylvania Univ. "I was able to take my learning into my own hands... I felt less reliant upon ‘being taught’ and more capable of teaching myself." Simply the best way to teach biology. 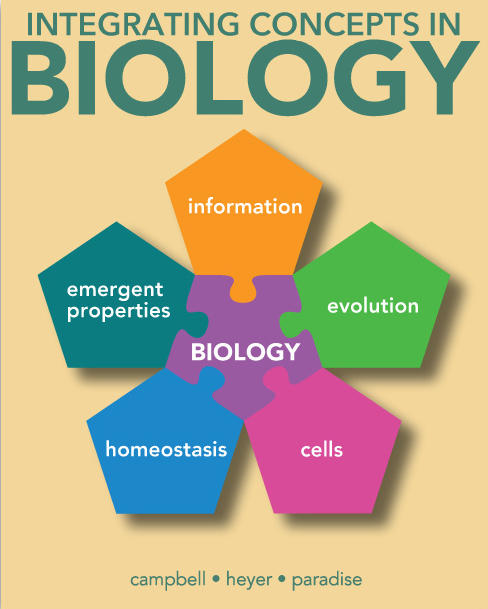 Integrating Concepts in Biology (ICB) is an introductory college textbook designed for life science majors, premed, and AP students (College Board Approved with a 99% alignment score). Implementing the recommendations of vision and change, this book re-envisions the teaching and learning experience with an active learning inquiry based approach emphasizing critical thinking, quantitative reasoning, and data interpretation. By focusing on the process of science, Integrating Concepts in Biology improves retention of core concepts and proficiency in core competencies. Students interact with real data to construct their own knowledge and connect their understanding to every day life. 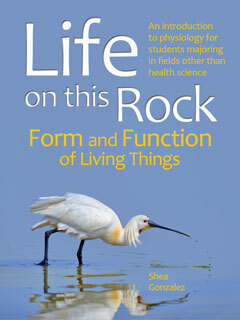 No other biology textbook has published data showing how it benefits teachers and students. Note: ICB is a complete two-semester / full year program. It can be purchased as a half-book for a single semester. Reduce Student Achievement Gap: Fewer students fall behind using ICB because core concepts are emphasized over memorization of details. Increase Student Engagement: Students prefer ICB’s engaging style over typical books, and the case studies draw students in so that they want to learn. Improve Retention Rates: When an instructor adopts ICB, more students continue taking biology courses and course evaluations typically improve as well. Students Retain Information Longer and Develop Critical Science Skills: Students using ICB outperform students using a typical textbook on multiple assessment instruments that measure content and critical thinking skills on multiple levels of Bloom’s taxonomy. Better Teacher Experiences: Peer-reviewed publications show that using ICB for more than one year reduces teacher preparation time for classes and course evaluations typically improve as well. Students practice science during class, engaging with interactive data that reveal key insights into published scientific discoveries.​ You'll see them start to think and communicate like scientists. Students retain information longer by focusing on core concepts rather than cramming for tests and memorizing terms they will soon forget. AP Biology, MCAT and GRE tests ask similar questions to the “Integrating Questions” found throughout every chapter. Students apply what they learn from ICB to excel in upper level courses. ​Prof. 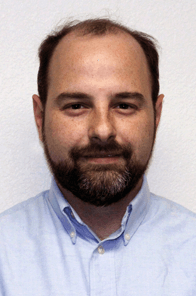 Malcolm Campbell is the recipient of the 2018 Four-Year College & University Biology Teaching Award from the National Association of Biology Teachers (NABT), a leading organization committed to life science education. Campbell, a trailblazer in bringing genomics into the undergraduate curriculum, created and directs the James G. Martin Genomics Program at Davidson. A textbook he developed with colleagues Prof. Laurie Heyer and Prof. Chris Paradise is revolutionizing the way biology is taught in high schools and colleges. Over the past summer the ICB author team has created some exciting new content that is absolutely loved by students. These new sections bring “controversial” social topics into the biology classroom - helping instructors addresses these important and complex topics: race, sexual identity, and human influences on the biosphere. These are topics that traditional biology textbooks shy away from, even though students themselves are engaged on these topics, and biology courses are a natural place to address them. To broaden the material’s reach and application, we also offer ICB: RSG as the stand-alone collection seen here. This enables instructors to integrate these readings into their courses, regardless of the textbook they use or the course they teach. 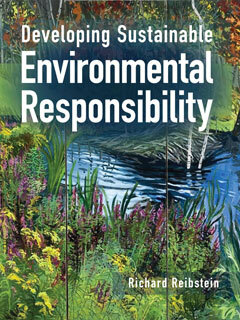 If you adopt ICB: RSG for your class, students can purchase their copy for only $10. Request a free evaluation of ICB: RSG here. Assessment Triangulation Using Concept Inventory, Card Sorting, and MCAT Instruments, Followed by Longitudinal Tracking. The core recommendations of Bio2010 and Vision & Change are the foundation for ICB. Vision and Change called for new textbooks to support student learning. Specific recommendations included a focus on core concepts (what we call Big Ideas) and core competencies, which include quantitative reasoning, critical thinking, the ability to apply the process of science and understanding, and the link between science and society. Students using ICB will learn core concepts and analytical skills simultaneously. Explore like a biologist. Think like a scientist. Uses original data from literature and integrating questions that facilitate exploration of the data. Students interpret data that were analyzed by biologists in the context of answering fundamental questions about biology. Integrating Questions help students focus on the main points, analyze data, apply mathematics and construct knowledge. Ethical, Legal, Social Implications sections (ELSIs) raise student awareness about the real-world aspects of case studies as they learn fundamental concepts. ELSIs help students grapple with their own ethical perspectives on emotional topics that relate to biology, such as evolution, stem cells, the definition of life, a species’ right to exist, and the costs and benefits of genetically modified organisms. Students interpret real data from scientific publications, enabling them to construct their own knowledge, develop core competencies and retain core concepts longer. Students employ basic math skills (arithmetic, fractions, percents) to deepen their understanding of biology and build core competencies of quantitative reasoning and applying mathematical models. Thirty of the 50 BME's feature interactive Excel files. With a few simple spreadsheet manipulations, students see the effects of parameter choices in the model, and gain a deeper understanding of the underlying biological concepts. Ethical, legal, social implications connect what students are learning in biology to what they already know from their everyday lives. Students can download a PowerPoint file that contains all figures and tables in each chapter. These can be used for taking notes and/or studying. Teachers have access to all figures and tables; this version includes built-in pedagogy that helps students learn to interpret data. Talking points included in PowerPoint notes verify teachers are on track and all files can be customized by the teacher. Faculty who adopt ICB have free access to answers to all the questions (Integrating Questions - IQs) asked of students (including BioMath Exploration IQs and ELSI IQs). Faculty might want to have the reassurance that they are on the right track by comparing their answers to the authors’. The authors have provided multiple choice “clicker questions” they have used in class that address the learning objectives and stimulate student discussions. Teachers can adapt the sample syllabi to fit their class schedule, students and learning objectives. Exams include “Data Galleries” that require students to justify their answers by citing the relevant experimental data. Each chapter has learning objectives, and each section within every chapter has learning objectives that vary across levels of Bloom’s taxonomy. BioMath Explorations and ELSI sections also contain learning objectives. Teachers can listen to the authors describe features, resources and pedagogy built intentionally into every chapter. Molecules don't seem real to students but interactive tutorials can help them manipulate proteins and other structures like any solid, 3D object. Many sections contain videos on the pages that students can view while reading about species or behaviors which is only possible in digital textbooks. Although jargon is kept to a minimum for improved student readability, all new terms are defined when first used. Students can search the entire book for terms they want to find and the electronic glossary means vocabulary words are only one click away. ​Use the tools built into the Trubooks platform to customize Integrating Concepts in Biology to meet the specific needs of your course, like adding some of your tried-and-true lesson plans and favorite assignments. 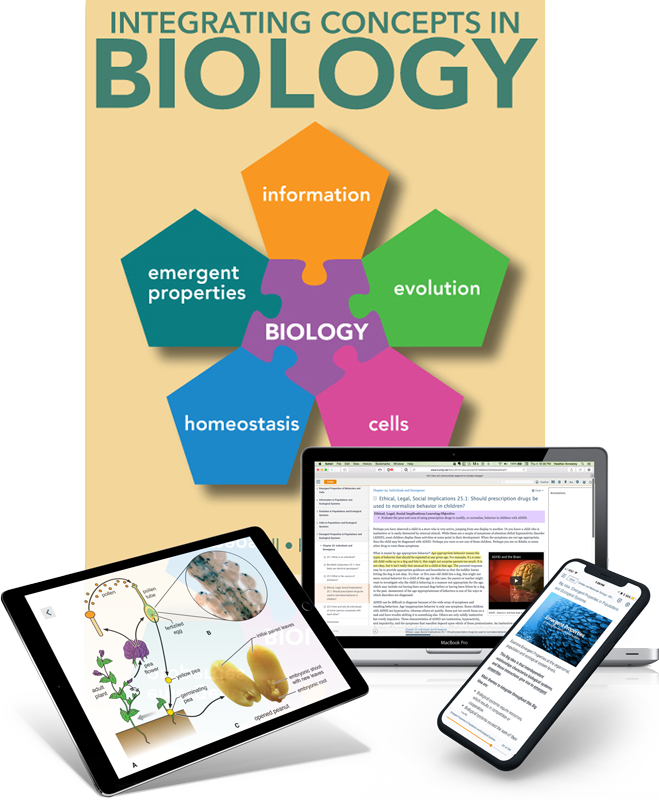 The ICB textbook is evenly divided along the tradition divide of small biology and big biology, each with 15 chapters divided evenly among the 5 Big Idea units: Information, Evolution, Cells, Homeostasis, and Emergent Properties. Each chapter within a unit focuses on a particular level of biological hierarchy. Small biology chapters 1 - 15 focus on molecular, cellular, and organ system/organismal topics, while big biology chapters 16 - 30 focus on organismal, population and ecological systems. When you get your free examination copy of ICB, you will have access to an expanded TOC that spells out all the major topics contained within each chapter, including the BioMath Explorations (BME) and Ethical, Legal, Social Implications (ELSI). You can find the expanded TOC in Appendix A in the Instructors Resources. Click to expand the lists below. The 50 Bio-Math Explorations, found throughout every unit of the textbook including the student resources, demonstrate to students how using readily accessible mathematics can yield profound insights into biological concepts. These ELSI's, found in every chapter of the textbook, help students make real world connections. ​ELSI 1.1: Who owns your DNA? ELSI 2.2: Is science possible if you are uncertain about what is true? ELSI 3.1: "Was that totally random?" ELSI 3.2: Should we engineer better babies? ELSI 4.1: Are evolution and religion compatible? ELSI 5.1: Are GMOs safe? ELSI 5.2: Banning PB&J: How far should a society go to protect the rights of an individual? ELSI 6.1: What are the ethical guidelines for scientific research? ELSI 7.1: Can’t we speed up drug discovery and get products to the market quicker? ELSI 8.1: Does basic biology have any impact on the real world? ELSI 9.1: What are the consequences of performance-enhancing drugs? ELSI 9.2: If pills could make you remember or forget, would you take them? ELSI 10.1: Should I memorize all these steps? ELSI 10.2: Why should I eat vegetables? ELSI 11.1: How do you compromise when a policy hurts one country but helps another? ELSI 12.1: How can you help someone correct a misconception? ELSI 13.1: Should synthetic biology be curtailed? ELSI 14.1: How can 90% of your body's cells be non-human? ELSI 15.1: Is your sleep cycle affected by age? ELSI 15.2: Should the US have a public health strategy to deal with the obesity epidemic? ELSI 15.3: Should we alter the timing of death? ELSI 16.1: Why do people refuse the flu vaccine for themselves and their children? ELSI 18.1: Do we have an obligation to preserve biodiversity? ELSI 19.1: When do we have enough data to act and formulate policy? ELSI 20.2: Has evolution reached its peak? Are humans still evolving? ELSI 21.1: Should we act to prevent forest fires? ELSI 22.1: What is normal? What would we lose if everyone were perfect? ELSI 22.2: What are the issues with using animals in research? ELSI 23.1: Who decides what medical interventions to give and when to give them? ELSI 24.1: What are the consequences of agricultural practices on soil ecosystems? ELSI 24.2: Should we seed the ocean with iron to increase productivity and create a carbon sink? ELSI 25.1: Should prescription drugs be used to normalize behavior in children? ELSI 26.1: What are the costs and benefits of population growth policies? ELSI 26.2: Should land use policy reduce habitat fragmentation? ELSI 27.1: What are the arguments for and against species re-introductions? ELSI 28.1: Should biologists study males and females separately? ELSI 28.2: What happens to a society when the birth rate is negative? ELSI 29.1: Does saving individuals help the population? ELSI 30.1: What is the Gulf of Mexico dead zone? ELSI 30.2: Is pollution a tragedy of the commons? ELSI 30.3: What's the difference between weather and climate? Active learning: ICB is designed so that students engage in an active learning process when they read the book. They are challenged to use real data to construct explanations of core biological concepts. There are no “thought bubbles” in ICB figures and tables that give students the main take-away. In the process of interpreting data for themselves, students enhance their core competencies as described in the landmark report Vision and Change (http://visionandchange.org; 2011). Students improve their ability to interpret data, make connections between concepts, and support their understanding with evidence. ELSI readings help them connect science information with their everyday lives. BioMath Explorations guide students through simple math that produces profound insights into biological concepts. DIBS-teaching: We coined this term to clearly state that teachers should incorporate Data Into Biological Sciences (DIBS). DIBS-teaching is an active learning approach and requires students to have ample access to data from the scientific literature so they learn the process of science at the same time they learn the content. ICB provides a ready supply of these data from the primary literature. Separating the scientific process from the biology content does a disservice to our students. Ordering of Chapters: As with any textbook, faculty can choose their own order for chapter sequence. However, this task is easier for an eBook than a paper book. Not only can you remove unused sections, you can author your own content to provide students with additional information within the same Trunity platform. Some faculty have taken references from ICB sections and expanded student access to more complete datasets. Lecture-centric teaching: Some faculty who have adopted ICB do not feel their students are prepared for active learning. Other faculty are not comfortable moving away from a lecture format. ICB works well for these faculty too. The instructor PPT slides can be used for presenting data and explaining how the experimental results produced the conclusions that formulate the core concepts. In these classes, students rate the book very highly and course evaluations of faculty have improved as well. 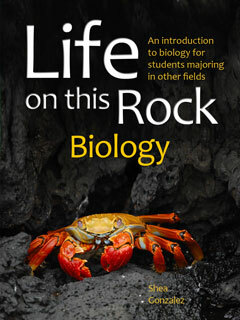 Core concepts and competencies: Over 500 biology faculty from around the country established a set of expectations for undergraduate biology students to meet; the expectations were published in Vision and Change (http://visionandchange.org; 2011). ICB was designed and written with the organizing principles of Vision and Change. By adopting ICB, faculty will be well on their way to accomplishing the goals of teaching students the core competencies and concepts. Less Preparation Time: Faculty who adopt ICB spend less time preparing for classes once they have taught the course (Wagner et al., 2015). The main reason is that faculty do not have to refresh their memories about details forgotten since the last time they taught the class. ICB provides all the data so that most faculty treat class time like a discussion, a journal club or lab meeting, where students are asked to interpret data every day. Since the data are provided in PPT slides, the teacher just has to read over the section and is ready to lead a class discussion on the data and how they inform our understanding of biology. Training students to think like scientists: Students who use ICB change the way they think about biology, and they way they communicate science. It is not uncommon for first term, first year ICB students to say they cannot distinguish between two outcomes illustrated in a bar graph because there is no measure of variance. Students learn to support their understanding, and test answers, with data. In short, ICB trains students to rely on data, which is the foundation of biology as a science, rather than written text. ​Semester vs. Quarter: ICB was designed to fit into the first year of biology for majors and those interested in careers in healthcare. We have prepared sample syllabi showing how the contents can be divided into two semesters or three terms – they are available under “Instructor Resources”. However, the semester vs. quarter academic year is not a new issue and faculty using ICB have reported that the book works well under both systems. Integrating Concepts in Biology is fully compatible with the recent redesign of the Biology Advanced Placement test.​ In an in-depth review by Learning List for College Board, ICB was found to have a 100% alignment score with AP Science Practices, and a 99% alignment score with the AP Curriculum Framework and Learning Objectives. 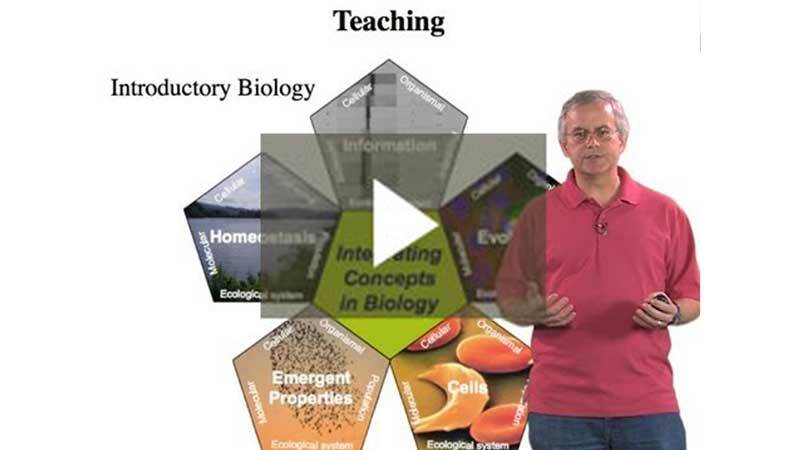 Subscribers to Learning List will find a full review of Integrating Concepts in Biology on their website. ICB Section 6.5: What do our genomes tell us about human evolution? I got this email as part of the extra credit movies I offered Bio113 students in lieu of seminar summaries. Progress is incremental and maybe one at a time, we can educate Whites to understand what they have ignored or been ignorant about for many years. The movie was Race: the power of an illusion. I am glad the topic of race is now mainstreamed in Bio113. "This movie was not only informative, but eye opening. Along with our lecture related to using race to diagnose diseases and prescribe medicine, I feel as though I have been so blind to the reality of human biology. It is scary to know that these false stigmatisms are commonly passed on through generation and rarely corrected. It is sad to know that this knowledge is available yet people still go about their lives believing that there are many differences when in reality genetically there are very few. Appearances cannot be the only thing we base judgement off of. The sports example in the movie really changed my view. I did believe that African Americans had a greater physical ability and while I understand that most people believe that, I still feel guilty for using justifying that racial biological stereotype. I try to be a level headed person and for the most part I believe my parents raised me with good values and morals, yet I still fell into racial stereotyping. Being raised in a rich and predominantly white community I have often heard many horrific stereotypes or racial slurs which have greatly upset me. While I spoke up sometimes, I wish I had done more to stop it. Now with this better understanding, I plan to inform people of the truth and speak up for what I know is right. It is unacceptable that in this day and age these things are still misunderstood. I hope that with my generation we, as a society, can become more educated on how race is simply a social construct and appreciative of other people. It is frustrating to me that people are so negative and hateful. There is nothing superior about a race, we are all biologically the same and everyone deserves the same respect. I really enjoyed this movie and the lessons it taught me. I have a better and more clear picture of the world with this knowledge and I plan to use it." "As a minority student in STEM, reading about the issues that affect people of color in the context of biology is inviting and comforting. In my experience, the manner in which biological sciences are taught tends to be whitewashed, and as a result students of color flock towards disciplines like public health and anthropology to fill that sociocultural void. While it isn’t reasonable for all STEM courses to extensively address the social impacts of systemic racism, learning about topics like race-based medicine and the genetic basis of skin color are particularly relevant and important, especially for the future doctors and healthcare professionals that make up a majority of Biology majors at Davidson." I was happy to see a Review of the innovative textbook, Integrating Concepts in Biology, appear in the ideal venue, the journal of pedagogy power users, CBE-LSE. After nearly two decades teaching with traditional textbooks, I just completed a year teaching introductory biology using the ICB textbook, and, as a result I thought I might be well positioned to add to the conversation begun by the authors of this excellent review. 1. You can add content: As the authors of the Book Review point out, instructors often have their own favorite topics (and ways to frame them) they like to use in teaching, and see in textbooks. Given this reality, I just wanted to mention one aspect they did not touch upon is that any faculty using the online ICB textbook can add their own sections/content to the digital book. Any essential material one feels was missed in a chapter, can be inserted, precisely as desired. 2. ICB brings "doing science" into lecture: Much like adopting inquiry labs brought "doing science" into the laboratory part of your course, the ICB textbook brings doing science into the lecture classroom, in a big way. Even frequent readers of CBE-LSE, i.e. "the converted" who no longer lecture but use class meetings for evidence-based active and cooperative experiences, will find that teaching Intro Bio with 100% pure uncut ICB is a revelation and may even cause a bit of an existential crisis (did for me, but was a good thing). With ICB, everything changed. Prior to using ICB, my students were provided with mechanisms and processes, but they rarely saw the supporting experimental data. Compared to ICB, typical lesson plans with traditional textbooks are akin to cookbook labs. Instructors spend their time in lecture explaining "right answers" to students who enjoy hearing interesting stories and experiencing a variety of active and cooperative pedagogies while learning those right answers. Much like the feeling I got a decade ago when I shifted from passive didactic lecture to active and cooperative learning, ICB once again truly shifted the paradigm even further. Prestwich and Sheehy did a great job of summarizing much of the new pedagogy built into ICB. However, I felt adding these two thoughts would be helpful to readers. Everyone can also learn more from the essay published in CourseSource that describes the profound changes instructors experienced when using ICB (Wagner et al. 2015) as well as the student learning gains data (Barsoum et al. 2013) mentioned by Prestwich and Sheehy. “…after reviewing your textbook last year and attending the AP reading for the third year in a row, I decided to adopt ICB as the only text for my AP Bio course this year. My students are really enjoying the approach and I truly believe this is the way we should be teaching introductory biology. My experience at the reading this year was an eye opening one for me. I hope I can be an advocate for your textbook in the AP Biology arena not only to other teachers and professors but also with ETS and the college board (I'm also a question writer). One problem in the AP Bio world is that many teachers have little training in research and they are not comfortable with this approach. In fact, I piloted a couple of BMEs last year at McCallie in AP and in a Honors Bio class. Another Honors Bio teacher would not teach the BME because she couldn't understand how to interpret the data herself. Unfortunately, I think that is the case for many high school science teachers that have been trained in "teaching" first and "science" second. This is where ICB could make a huge difference! "Typically disorganized, I failed to sign up for high school biology early enough to get one of the limited slots in the courses being offered. As a consequence, my first course in biology was taken as a freshman at Harvard College. Luckily, the textbook used for its second semester was the just-published Principles of Zoology, by Columbia professor John A. Moore (Oxford University Press, 1957). More than 50 years later, I would write the memoir for this great scholar and educator for the National Academy of Sciences. 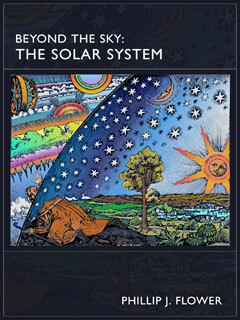 As was the case for that much earlier textbook, Campbell, Heyer, and Paradise stress the importance of all students learning to appreciate "science as a way of knowing", paying much less attention to laying out the large collection of "facts" that biologists have discovered about the living world. Principles of Zoology used a step-by-step, detailed history of important discoveries to present this subject that I found fascinating and engaging. But, as our knowledge of biology has exploded, introductory biology textbooks have increasingly felt forced to omit such detailed history, in order to make room for the massive amount of information that is covered. Their new book represents a very ambitious attempt to rethink how biology is taught, and I commend the authors for their courage and originality. It returns to Moore's "less is more" philosophy, but the approach is quite different. History is reinstated, but now most of the figures present original data to be analyzed. Moreover, every section is written around a question, such as "How does DNA communicate information to a cell?" or "Is there anywhere on Earth devoid of life?". In addition, important new goals have been explicitly added, connecting biology to current issues in the news (Ethical, Legal, Social Implications), as well as to quantitative analyses (Bio-Math Explorations). I also commend the skillful use of connections to the Internet, which actively engage the student in explorations. Like many others, I am a great believer in making students struggle with a problem before being told the answer, which research shows to be a powerful way to generate deeper learning. Here a device used is the frequent insertion into the middle of the text of a tool called Integrating Questions. Students must discipline themselves to avoid the lazy path of skipping to the answers that quickly follow in the text, if they are to obtain maximum benefit from this tool. But will they do so? This last question allows me to make my major point, which is that Integrating Concepts in Biology by A. Malcolm Campbell, Laurie J. Heyer, & Christopher Paradise represents an important new experiment in textbook publishing. Hopefully the availability of this text will stimulate even more innovation around the globe, accompanied by scientifically based research to measure effects on learning. Only in this way can we produce the advances in education that are urgently needed to facilitate a much greater appreciation and understanding of science by humanity -- an outcome on which the future of civilization may depend." - Drs. K. N. Prestwich, Ph.D. and A. M. Sheehy, Ph.D.
As part of its PULSE Certification Pilot Site Visit, they said the DIBS course, “offers a highly innovative introductory biology sequence with integration of concepts in a new approach that may be just what the authors of [Vision and Change] had in mind. Instead of traditional clustering of topics by level of organization, [the course] organizes information by [core] concept and then explores how those concepts manifest at different levels of organization.” This introductory course sequence was cited repeatedly in the written PULSE evaluation and contributed to the overall Departmental rating of PULSE Progression Level III: Accomplished, which was the highest of all eight institutions evaluated. - Drs. 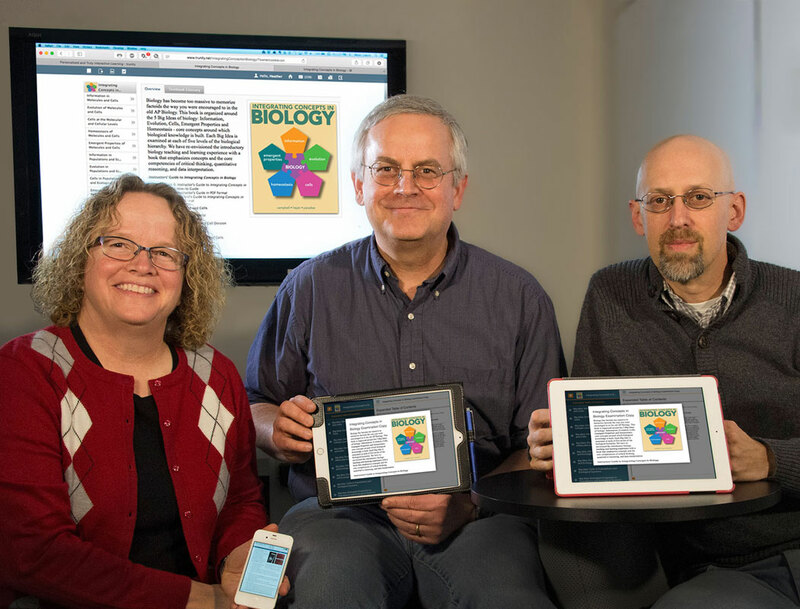 James Wagner, Ph.D. and Belinda Sly, Ph.D.
Malcolm Campbell gives us a tour of the features and functionality of the browser-based ICB textbook. He shows how the 30 chapters are organized around the five big ideas, chapter sections are organized around framing ideas, etc. He then drills down into various sections of chapters 1-15 of the textbook for us. Chris Paradise demonstrates the organization and navigation of the ICB digital textbook. He looks at the book organized as two sets of fifteen chapters; each containing five units of three chapters each. Chris then provides us a closer look at Chapter 19. Instructor and student resource overview. . . And the flexibility to make ICB fit your needs. In this video Chris Paradise focuses on the teacher and student resources included in the ICB textbook. He also covers the flexible design of both the ICB textbook and the Trunity learning management and platform functionality that allows you to customize the book to truly make it fit your needs - from adopting the entire book or just the sections you need, to adding, creating and reorganizing content. You can listen to a recorded introductory biology class led by A. Malcolm Campbell and follow along in your Evaluation Copy of ICB. The class is starting Sections 13.1 and 13.2 (Molecular Switches) where the Big Idea of Emergent Properties are introduced. The case study students are exploring is hemoglobin and how its cooperativity leads to an unexpected behavior that is only apparent when considering the quaternary structure under different oxygen conditions. You will see the images projected in class as well as the interaction with students who answer questions and ask their own questions. BME's get at the math behind the biology. Laurie Heyer provides us with a more detailed demonstration of a few Bio-Math Explorations that Malcolm and Chris briefly mentioned in their demonstrations of the ICB book. Laurie Heyer combines math and biology in both her teaching and research. She loves to help biologists see the value of mathematical models, and make those models accessible to students and faculty with a minimal math background. Dr. Heyer has developed her interdisciplinary teaching skills by teaching national workshops on microarray data analysis and mathematical modeling through the Genome Consortium for Active Teaching (GCAT), by writing “Math Minutes” for Discovering Genomics, Proteomics & Bioinformatics (co-authored with A. Malcolm Campbell), and through regular offerings of introductory calculus and programming courses focused on problems in biology and medicine. Dr. Heyer has a B.S. in Mathematics from the University of Texas at Arlington and a Ph.D. in Applied Mathematics, from the University of Colorado at Boulder. She was a postdoctoral fellow with Michael Waterman in the Center for Computational and Experimental Genomics at the University of Southern California before becoming Professor and Chair of Mathematics and Computer Science at Davidson College. Her current research, in collaboration with Campbell and interdisciplinary teams of undergraduates, is in synthetic biology. I am proud to have participated in writing ICB, a truly innovative digital text. It is arguably one of the most important projects on which I’ve worked. As Professor of Biology and Environmental Studies at Davidson College, I get to teach biology students the process of science and get them excited about science. I’ve taught introductory biology using ICB and our new approach to teaching biology for over 5 years now, and it has revitalized my teaching at all levels. Many years ago, I earned my BS from the State University of New York at Albany, my MA from Binghamton University, and my PhD from The Pennsylvania State University. Since then, other than a short stint at King’s College in Wilkes-Barre, PA, I have been teaching and researching at Davidson College. 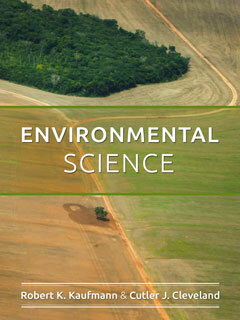 My other favorite courses to teach include ecology, entomology, and a topical seminar on renewable natural resources. My research always involves undergraduates and evaluates factors that influence insect communities and their biodiversity at a variety of scales. Switching to Big Ideas / scale independent Approach, sylLabi, Labs, Classes Blended vs Pulled apart by size . . .
I’ve been looking at your ICB textbook and reading your articles “Implementing Recommendations for Introductory Biology by Writing a New Textbook” and "An Active Textbook Converts _Vision and Tweak_ to Vision and Change". Our department at Kalamazoo College has begun conversations about revamping our core curriculum and switching from the small/big dichotomy and topic based approach to a more big ideas/scale independent approach like you use in Biol113/114. Would you be willing to share your syllabi for these courses with me, and types of things you do in your labs? We are on the 10-week quarter system with 3 x 1.25 hour lectures per week and 10 x 3.5 hour labs per quarter. Great to hear from you. We have heard from a few other schools this summer with similar queries. You are not alone in making the change from the familiar fact-filled book to ICB that is much better for students to learn and remember key concepts while also gaining core competencies. We want to help you make this change as smoothly as possible. If you have access to an examination copy of ICB, we have sample test questions you can view and all the PPT slides (student and teacher versions). We are happy to share with you our current syllabi. We had taught the class blended by size, but stopped because our colleagues here refused to adopt this approach (students loved it though). At that time, the book was in 25 chapters. Now we use syllabi with the courses pulled apart by size (what most campuses prefer) with 30 chapters, but we don’t cover all the chapters. The book was reorganized from 25 to 30 chapters to match the pulled apart by size as per “market pressure,” but the eBook can be reorganized by Big Idea the way you are thinking (blended across sizes). For 113 lab, I have taken a new approach that is possible in part because of the book. I realized that having a very wordy lab manual generated the opposite effect from what I wanted. I wanted my students to behave more like scientists and all those lab manual details were anti-scientist. Now I have a “minimalist” approach where I give them very little information and put more of the responsibility (learning) on them. This has been wildly popular with the students by the end of the semester, but at the beginning, it was shocking to them. This fall, I will have the students use the R statistical program in lab. They will copy and paste commands to determine if treatments are different than controls. Since R is the method more and more people are adopting, I wanted to shift over to give them a taste early in their curriculum. If you would like to talk on the phone, I would be happy to do so (Laurie and Chris would too, I suspect). I would also be willing to visit K-College if that would be helpful to you and your department. Alternatively, you (1 or more) are welcome to come visit us at Davidson. We have hosted visiting faculty over the last couple of years. We have compelling data that ICB is better than other books (one more publication is in press). We hope you and your department decide to make the change. I suspect you won’t go back to a traditional book once you get used to the different content and approach to student learning. Serving as the Pioneer in my department -- Study showing ICB Approach increases learning . . .
​"Years ago I heard about a new textbook that was dramatically different than the encyclopedic ones I was accustomed to, and then had the opportunity to hear Dr. Campbell give a talk about it at a SABER research conference. Since that time all my colleagues in our Biology group agreed that we should teach biology in the way discussed by Dr. Campbell, that all scales of biology should be taught together rather than separating the small biology from the big in separate courses. That greater clarity of focus on organizing material around just 5 big ideas of biology was a must, and the scientific process/practices, mathematics and history should be a continuing thread throughout our teaching in introductory biology. Yet, many years passed and while my colleagues continued to feel passionately about supporting the idea, they also remained content to keep the status quo "for now" as we hoped someday change would come. I eventually lost patience waiting for that day to come and decided to serve as the pioneer. While I had used a sample chapter 1 of the ICB textbook twice previously in my intro bio course, and I had carefully read, taken notes and even crafted a careful outline of each chapter as I prepared to teach with the Integrating Concepts in Biology textbook. As experienced instructors know, you never really figure out what it will be like to teach with a big curriculum change until you actually just do it yourself. It was somewhat life-changing to teach from this new textbook. ICB is extremely cool, and a dramatic departure from traditional "cookbook" biology textbooks. In some ways it's like losing your religion, or maybe more particularly it causes you to question the (inadequate) way you've taught before. Which is a very good thing. To me it felt much like the transition from pure passive lecture to active and cooperative learning I had experienced years earlier. Once you successfully make the jump you are astounded at how much better the new world is for you and your students. Since I regularly collect and publish data on student learning, I attempted to install an array of "learning detectors" during the inaugural academic year (2014-2015) when I first used the ICB textbook as a full-year experience for students in introductory biology I & II. In an attempt to share some of the measured outcomes from our experience, I'll share the research abstract we submitted to the SABER 2016 conference. A strong foundation gained in introductory biology can lead to success in upper-level STEM courses and long-term expertise (Derting et al 2010; Freeman et al., 2011). The purpose of this study was to look for evidence of impact of an intervention, a textbook, Integrating Concepts in Biology (ICB) (Barsoum et al 2012) and its disciplined implementation of an array of strategies recommended by experts (Vision and Change, AAAS, 2011). Student learning was evaluated using three published instruments; Biology Card Sorting Task (Smith, 2013), Biology Concept Inventory (BCI) (Klymkowsky et al., 2008), and a MCAT instrument (Luckie et al 2012), as well as longitudinal tracking. It was hypothesized the ICB curriculum might positively impact students’ expert thinking skills and longitudinal performance but perhaps negatively impact short term gains in content knowledge (when compared to peer students in traditional heavily content-focused courses). The BCI was selected because it was able to assess the depth of student mastery of fundamental concepts in both organismal and cellular topics when challenged with strong distractors based on common misconceptions (Klymkowsky et al., 2008). The results from the BCI indicated that ICB students had significantly higher gains (43.19 +/- 7.017% p<0.01) than matched peers enrolled in comparable active/cooperative/inquiry, but traditionally content-focused, biology courses. The Biology Card Sorting Task was designed to assess if a student’s learning is superficial/novice or shows greater depth/expertise (Smith, 2013; Chi et al, 1981). ICB students scored higher than peers on Pre-tests and moderately higher achievement overall for the triplet sorting task, which requires greatest deep expertise (59.4 +/- 0.06% vs 48.1 +/- 0.05% p<0.01) and major comparative gains in subcategories like that of Structure/Function (77.4% +/- 10.17 vs 28.1% +/- 3.5 p<0.01). A content exam comprised of 40 MCAT questions, which served as a Post-test since 2000, was used to compare ICB student content knowledge to prior years. Historically, student MCAT performance ranged between 54 to 64%, ICB students scored a 62%. Longitudinal tracking was used to follow ICB students as they entered five upper-level STEM courses the following academic year. In one course, Pre-Health Professional Physiology, the ICB cohort statistically outperformed final point scores of peers (85% vs 80%, p<0.01) ." Elizabeth Forrester here. I'm not sure if you remember me, but we had several conversations last fall about an AP Bio MOOC, your ICB textbook, etc. At the time I was on faculty at McCallie School in Chattanooga, TN. I wanted to touch base with you for a couple of reasons. First of all, I accepted a position at Baylor School, also in Chattanooga, TN. I am still teaching AP Bio and also developing an afternoon research program in conjunction with the Tennessee Aquarium and UT-Chattanooga. I'll try to keep this a short as possible, but after reviewing your textbook last year and attending the AP reading for the third year in a row, I decided to adopt ICB as the only text for my AP Bio course this year. My students are really enjoying the approach and I truly believe this is the way we should be teaching introductory biology. My experience at the reading this year was an eye opening one for me. I hope I can be an advocate for your textbook in the AP Biology arena not only to other teachers and professors but also with ETS and the college board (I'm also a question writer). One problem in the AP Bio world is that many teachers have little training in research and they are not comfortable with this approach. In fact, I piloted a couple of BMEs last year at McCallie in AP and in a Honors Bio class. Another teacher Honors Bio teacher would not teach the BME because she couldn't understand how to interpret the data herself. Unfortunately, I think that is the case for many high school science teachers that have been trained in "teaching" first and "science" second. This is where ICB could make a huge difference! Thanks for all of your help and your work in introductory biology. ICB is an amazing resource and I appreciate all of the work that went into developing this textbook. What a WONDERFUL email to read. Thank you for sending this. At times I get downhearted when so few people see the benefit of our approach to AP Biology. You have cheered me up and given me hope that maybe our approach will catch on and spread. Yes, Carolina Biological distributes our kit. It is exactly what we use at Davidson. In our paper, we provide two different methods to quantify the amount of promoter activity. One uses the free software ImageJ and pClone Red. This would be the more accurate of the two methods and one your students would probably enjoy learning. The second method is similar to pH paper where students match the color of their sample to a standard curve and estimate the percentage of color present in their samples (Red or Blue should work). I don’t know which ones if any have used pClone. I am copying my coauthor Todd Eckdahl who may know more about HS users. I think there is one in KS who has been using pClone for a few years. If you ever want to team up and co-teach an AP Bio workshop on using our approach, let me know. I would love to co-present with you on a teaching method we have called DIBS (Data in Biological Sciences). Our book is not required for DIBS-teaching, but right now, our book is the only book available. Maybe in the future, all books will copy our approach (fingers crossed). Again, thank you for writing and sharing your enthusiasm for our approach to teaching biology. What happens when your students learn to work with real data? As a teacher, will I be glad I changed books? Switching introductory textbooks was the best teaching decision that I have ever made. Switching to ICB forced me to think about developing a workflow where the science took center stage instead of memorizing facts. My students are assigned to read and annotate before coming to class. They then take a 6 minute quiz over the reading assignment at the beginning of class. The quiz question is always the same, “Convince me that you read the article assigned for today by providing evidence”. Then I lead discussion of the figures by cold-calling on the students. Each exam question consist of the bottom line from an ICB article. The students need to explain how the evidence supports the bottom line using a figure gallery. It is such an authentic and spontaneous teaching experience. My D/F/W rate dropped from 30% to 10%. The attitude of my students changed 180 degrees, and I think they are learning more biology. I have thought about writing a course paper about how I am using open web annotations and ICB, but I wanted to make sure I had something worth saying. Thanks for all the work you did to make this possible. ​The author team is so pleased with your outcomes! Your experience is similar to ours, and exactly what we hoped would happen at other campuses. Turning our beginning students into scientists is a joy, as you know. I would love to see how you and your students are using the social annotation tool. I have not used it before, so would like to learn from you. In fact, I wonder if there is an education paper in this? Perhaps you could document what your students do and show that they can use ICB in a journal-club type class experience, especially with your use of social highlighting, etc. Your questions and comments to the author team are welcome. ​We will only publish with your permission. Vol. 12, 106-116, Spring 2013 ​CBE - Science Education, Published by The American Society for Cell Biology, Editorial partner, The Genetics Society of America. If you were unable to join us at NABT 2018 in San Diego, you may still request access to the materials we used in the workshop. We can also create a time for you to speak with the ICB author team by emailing us at ICBteam@trunity.org. We can provide campus bookstores with coupon codes that students may use to get access to their course instance of the textbook via the Trunity online store. This is particularly useful for students are on financial aid that are required to purchase their books through their campus bookstore. Trunity gives bookstores a 5% discount to account for handling cost -- however, we strongly discourage bookstores from charging students more than the list price for the textbook.